EAST TEXAS (KLTV) - Here are the latest numbers for cattle and hay producers. Compared to last week, all weight class averages of both feeder steers and heifers ended fully three-to-five dollars lower. Buyer trade remains brisk. 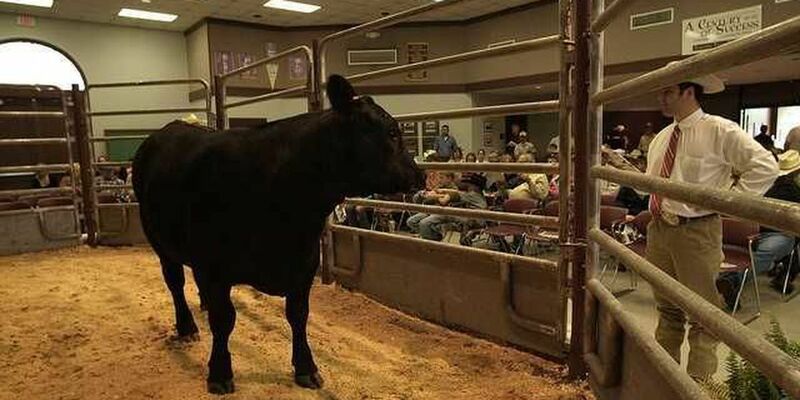 That's according to the East Texas Livestock Market report coming out of Crockett. Slaughter cows showed to be three dollars lower while the slaughter bulls ended a full four dollars lower. Even with the drop, the market still appears to be looking for a steady trend as we head further into September. Turning to hay, most classes remained steady. Coastal Bermuda coming out of North and East Texas sold five-to-10 dollars higher per roll. A short supply of hay and good demand keeps the hay moving as soon as it hits the market. Freight is also playing a factor as dairies and feed yards are having to pay to get the hay hauled long distances. And for the latest East Texas Ag news, you can visit ETXAgNews.com.